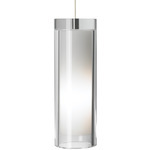 Sara Grande Pendant is cut from a solid block of Clear crystal and formed into an elegant cylinder surrounding a hand-blown inner white glass diffuser. 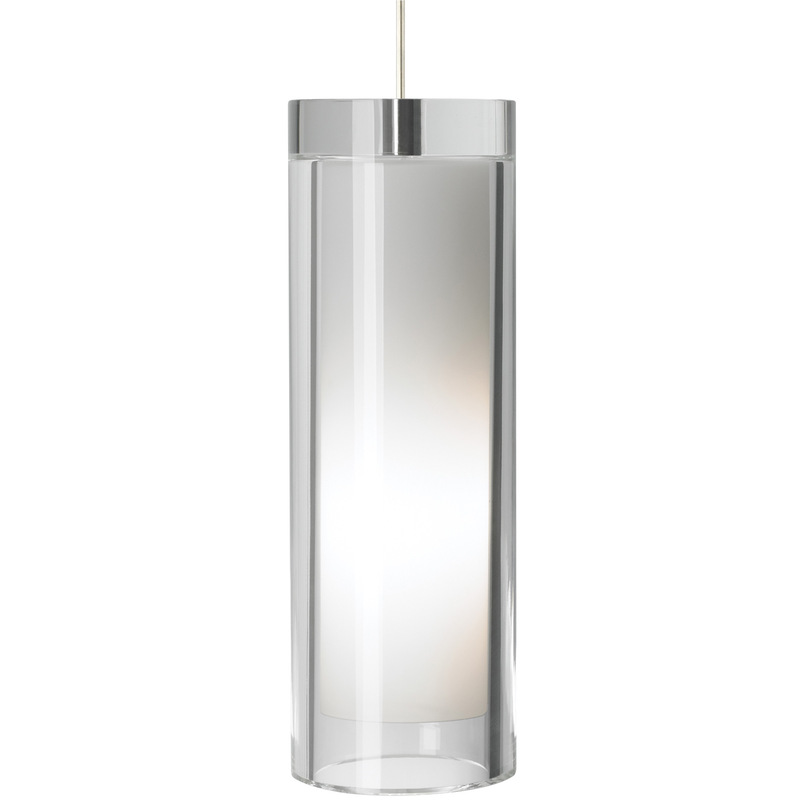 Finish available in Black, White, Satin Nickel or Antique Bronze. Black, White and Satin Nickel highlighted with clear cable. Antique Bronze finish highlighted with brown cable. One 60 watt, 120 volt BT15 medium base lamp is required, but not included. Provided with six feet of field-cuttable suspension cable and a 4.5 inch round flush mount canopy. ETL listed. 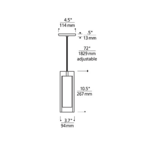 3.7 inch diameter x 10 inch height x 82 inch length.